Reigniting the job search is easier said than done. Bill Horne, a computer security engineer from Sharon, Mass., has been looking for a job since February 2008. But after sending out 220 resumes and getting only a few job interviews that went nowhere, he gave up. “When July 1 came around, I decided to take the summer off,” he said, referring to his job search. Horne, 57, is what the government calls a “discouraged worker” — basically individuals who have given up the job search — and their ranks have hit an all-time high. In August, there were 758,000 discouraged workers, down slightly from 796,000 in July but nearly double the 381,000 a year earlier. The July level was the highest since the government began tracking the statistic in 1994, according to James Walker, labor analyst with the U.S. Department of Labor. Such workers won’t show up in the nation’s unemployment rate, but their swelling ranks reveal an even tighter job market than thought. The jobless rate for August was 9.7 percent, but if you add in the discouraged job seekers, that number is 10.1 percent. This at a time when more than 1.3 million Americans will see their unemployment insurance benefits run out by the end of the year — in some cases after a record 18 months of government support. 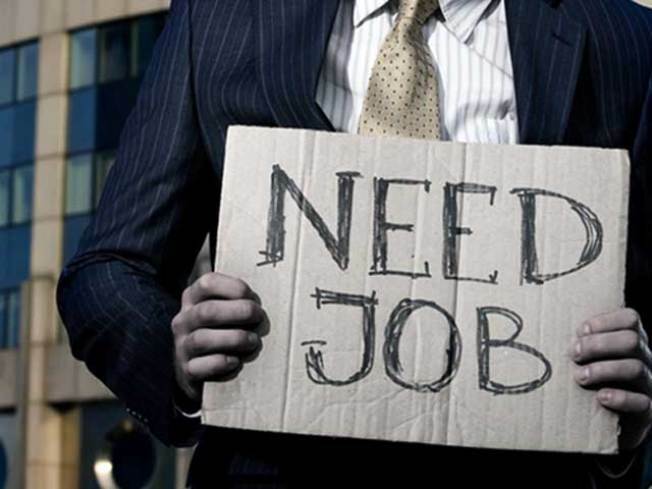 What’s driving the rise in job discouragement in this economy has to do with a host of factors, said Michael Komie, a clinical psychologist who specializes in workplace issues at The Chicago School of Professional Psychology. “People who are losing their jobs in this economy are less likely to find an equal or better job in the same industry,” he noted. The job search process has changed significantly in just the past few years, he added, making it harder for many workers — especially older ones — to figure out the tactics needed to land a new gig. A lengthy job search can hurt morale, reduce motivation and lead to discouragement, Komie added. “If they think there’s no light at the end of the tunnel, they don’t know which way to steer the boat,” he said. The way companies are handling the hiring process also can frustrate job seekers. As they become frustrated, many job seekers start to think some time off is a good idea, hence the rising number of discouraged workers. But this is probably the worst strategy to adopt. So, if you’re sitting on the couch right now, get up! You need to lay the groundwork for your job search before hiring managers begin to do their budgets for positions this fall, Mathison said. Write down what positions you’re looking for and you’re qualified to do. Figure out the possible titles of those positions. Figure out the titles of your potential managers. Come up with a list of 50 companies you’d consider working for, even if they have no listed jobs available. Make a list of 100 people you know, everyone from relatives to former colleagues. Connect with each person on the list individually, not with an e-mail blast, and find out if they know anyone at the 50 companies you identified that might hold a position you’ve targeted above. “Tell your contacts what you’re looking for and ask if you can be introduced,” Mathison explained. You may turn up just a few individuals on your 100 contacts list who know someone who knows someone, but that may be all you need, he said. And spend time actually working on your job search, not just worrying about it, he added. Workers who lose their jobs should start their search as quickly as possible, said Komie of Chicago. He encouraged people to find a support system of family or community, whether it be a religious group or career counseling center. If the discouragement is bordering on depression or lasts a long time, he advised job hunters to seek professional help because they might have “unemployment stress syndrome.” “It’s when someone’s sense of time changes, they become discouraged and they can’t focus their efforts,” he said. For those who just need a pick-me-up, Komie suggested focusing on basic job-hunting tactics. If you haven’t been able to get a job or even an interview, find a class or a career counselor to assist you, especially with Web-based social networking; read up on emerging trends to figure out where the jobs are; connect with contacts; and update your skills. Horne, the computer security engineer from Sharon, is going to do just that. He plans to enroll in an information security class, relying less on published resources such as job boards and focusing more on his network of friends, family and former colleagues. “I’m going to remind people I’m still on the street,” he said.